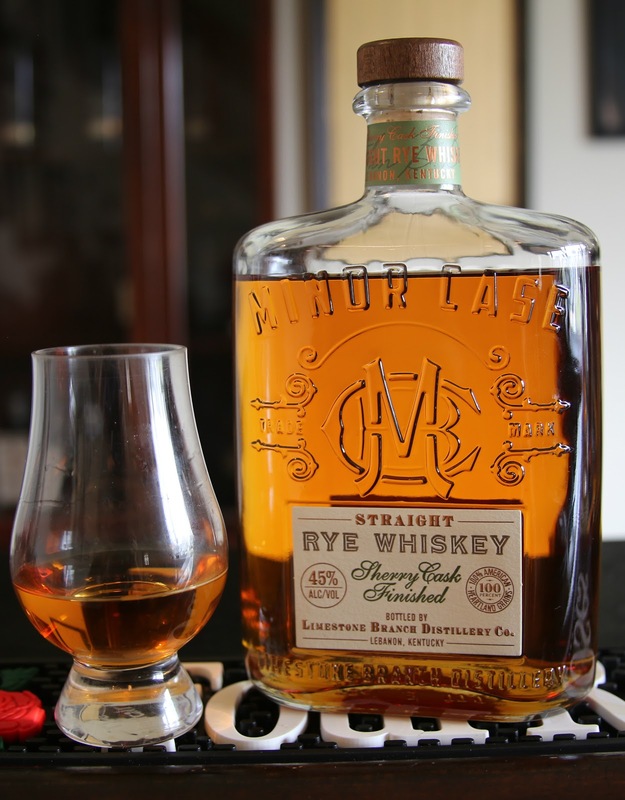 Released nationwide in February, Minor Case Straight Rye Whiskey is the newest product from Limestone Branch Distillery (owned in part by Luxco). Interestingly enough, Ezra Brooks (also Luxco) released a straight rye whiskey in January of 2017. These whiskies have many elements in common. For instance, they are both 24 months old and distilled in Indiana (MGP). There is however, one noteworthy difference between the two; Minor Case boasts a sherry-cask finish and is packaged in an elegant, flask-style bottle commemorating the heritage of Minor Case Beam with his original logo. Nose: A delicate bouquet mixed with an assortment of red fruits and sugary sweetness. Plums, cherries, and vanilla icing are followed by a muted rye spice. Taste: Incredibly smooth, however the flavors are flat and muddled. A subtle pepper spice graces the palate for a mere second, folding to a buffet of red fruits, predominantly plums and cherries. It's sweet but lacks depth. Finish: Short with dried fruit notes. Conclusion: As a result of being such a young whiskey, the sherry-cask finish seems to have consumed every aspect of its profile- honestly it's overpowering. My wife really liked this, which makes sense because she loves red wine. I on the other hand, do not care for wine one bit! Taste aside, the bottle looks fantastic, but if we're being honest, the price point seems way too high. 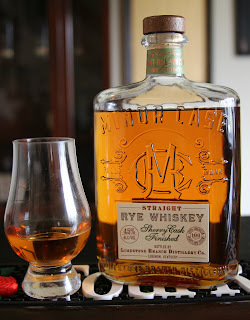 If you aren't a wine lover, I recommend a hard pass on Minor Case rye whiskey. This bottle of Heaven Hill Old Style Bourbon, also known as “the green label", is one of few bottom shelf bourbons I recommend for everyone to try at least once. We live in a world where local/craft distillery’s get away with selling extremely young whiskey for north of $30 a bottle. Heaven Hill Old Style bourbon is a diamond in the ruff; you’ll be hard pressed to find another straight bourbon aged this long and sold at such a reasonable price. Nose: First whiffs promote a light, sugary sweetness. Peanuts and caramel follow along with a very shy rye spice. Taste: While the mouthfeel is thin, there is an initial pop of pepper spice and a decent heat. Peanut brittle and brown sugar add sweetness to the palate. Finish: Extremely smooth, with brown sugar and pepper spice. Conclusion: At the end of the day, this is a fantastic bourbon for your wallet. The flavors are light but enjoyable, and it makes for a phenomenal mixer.